Yogaloft allows you to continue your yoga education while saving money! 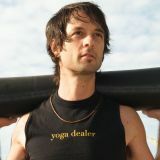 Teachers from Cancun to Tulum now qualify for 25% off at Yogaloft Playa del Carmen on selected plans and passes. Click the video to see Michael Gannon explain why we decided to do this. Then come to Yogaloft and choose the plan that is best for you!